An extremist Muslim cleric known as ‘the blind sheikh’ convicted in connection with the 1993 World Trade Center bombing has died in a North Carolina prison where he was serving a life sentence for his role in conspiring to commit acts of terror in the US. Omar Abdel-Rahman, 78, died of natural causes at the Butner Federal Correctional Facility's Medical Center where he had been incarcerated for nearly 10 years. Abdel-Rahman’s son Ammar confirmed the death to Reuters, saying he was contacted by a US representative. The cleric’s daughter Asmaa tweeted about her father’s passing. Blinded as a young child and a long-term wheelchair user, Omar Abdel-Rahman gained notoriety for his role in the 1993 Trade Center bombings in New York that killed six people and injured thousands when a 1,200 pound truck bomb exploded in a tower basement. He was also charged with planning other US attacks, including one on the United Nations headquarters and Lincoln and Holland tunnels in New York. 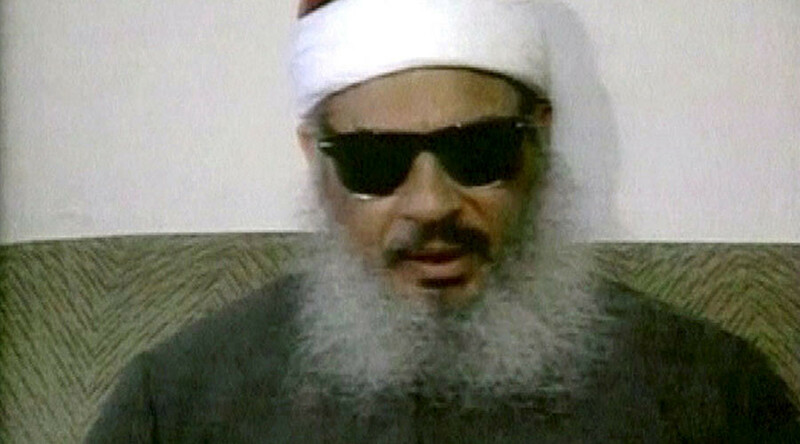 A member of the Egyptian Islamist militant group Al-Gama'a al-Islamiyya, Abdel Rahman was also suspected of being involved in Egyptian leader Anwar Sadat’s assassination in 1981. After a stint in Afghanistan, where he became associated with the Maktab al-Khadamat (MAK) group and befriended Osama bin Laden, he moved to the United States in 1990, where he preached in mosques in New York and New Jersey. In 1995, he was convicted of conspiring to “levy a war of urban terrorism against the United States,” including the attack on the World Trade Center, and was sentenced to life in prison.